Conductor Marc Piollet, born in Paris in 1962, studied at the Hochschule der Künste in Berlin. Master-classes with John Eliot Gardiner, Michael Gielen and Kurt Masur had a formative influence on his musical development. In 1995, Marc Piollet was the only prize-winner at the Dirigenten-Forum of the Deutscher Musikrat. After early posts as First Kapellmeister at the Philharmonisches Staatsorchester Halle and the Staatstheater Kassel he was Music Director of the Vienna Volksoper from 2003 until 2005. From 2004 until 2012 he was General Music Director at the Hessisches Staatstheater Wiesbaden where he conducted acclaimed performances of Wagner's complete Ring and new productions including Don Carlos, Elektra, Falstaff, Faust, Fidelio, Freischütz, Idomeneo, La Bohème, Lohengrin, Lulu, Rosenkavalier, Salome, Tristan und Isolde and Tosca. As guest conductor he has worked with leading opera houses including the Royal Opera in Copenhagen (La Bohème with Anna Netrebko as Mimi), Opéra National de Paris (Il barbiere di Siviglia, Les Contes d'Hoffmann with Rolando Villazon in the title role), Staatstheater Stuttgart (Jenufa, Così fan tutte, Bluebeard's Castle and Erwartung) and the Vienna State Opera (Barbiere). At the Gran Teatre del Liceu in Barcelona he conducted Carmen staged by Calixto Bieito, the production was released on DVD by Unitel Classica/C major. In 2012 he made his debut at the Bavarian State Opera during the Munich Opera Festival with Les contes d'Hoffmann. In the following season he opened the legendary Teatro Colón's season with a revival of Carmen. At the beginning of the 13/14 season he conducted Dietrich Hilsdorf's much-noticed new production of Evgeny Onegin at the Opera Cologne. In June 2014 he made his much acclaimed opera debut in the USA at the Cincinnati Opera (Carmen). In the current season he will return to Teatro Colón and Deutsche Oper am Rhein with Don Giovanni, in Dusseldorf he will also conduct Carmen. 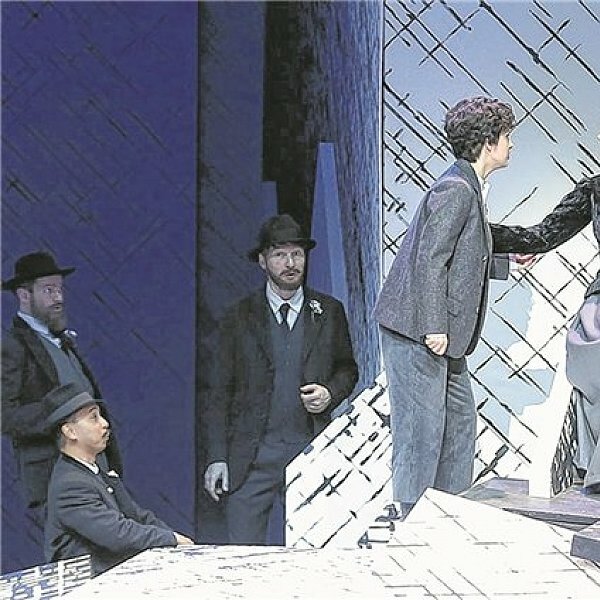 At Gran Teatre del Liceu he will guest with La Bohème in a staging by Jonathan Miller and will also perform this opera at his former domain, the Vienna Volksoper. Over the last years he established a close collaboration with Teatro Real in Madrid where he led Massenet's Don Quichotte and C(h)oeurs, a production of Belgian choreographer Alain Platel featuring music by Giuseppe Verdi and Richard Wagner. Tour performances with C(h)oeurs took place at the Concertgebouw in Bruges, the Théâtre Royal de la Monnaie in Brussels, the Ludwigsburg Festival, the Holland Festival and the Festspielhaus St. Pölten. In 13/14 he conducted two new productions at Teatro Real: L'elisir d'amore and Peter Sellars' spectacular staging of Tristan und Isolde. Apart from his highly successful work as an opera conductor Marc Piollet is in high demand also for the symphonic repertoire, appearing with renowned orchestras worldwide including the Berlin Radio Symphony Orchestra, the Leipzig Gewandhaus Orchestra, Orchestre National de Lyon, the Munich Philharmonic and the Tokyo Symphony Orchestra. After his much acclaimed debut with the Montreal Symphony Orchestra he was immediately reinvited and excited the Canadian audience upon his return with his own arrangement of a symphonic suite from Wagner's Götterdämmerung. In 2012 he conducted an all-Beethoven-program at Festspielhaus Baden-Baden with Lang Lang and the Salzburg Mozarteum Orchestra. For many years he has been enjoying a close artistic collaboration with Annette Dasch: a recording of Mozart Arias with the Akademie für Alte Musik Berlin was released by Sony, also noteworthy are the tours with the Munich Radio Orchestra and the joint production "Die Gretchenfrage" which was released in September 2014 on DVD and Blu-ray by EuroArts. In spring 2014 he made his China debut with the Guangzhou Symphony Orchestra and the China Philharmonic Orchestra. Together with Piotr Beczała he performed in opera galas at Teatro Real, Festival Castell de Peralada as well as the Thurn und Taxis Schlossfestspiele in Regensburg. Their next collaboration will be at the turn of the year with the Zurich Chamber Orchestra at Tonhalle Zürich and KKL Lucerne. Other concert engagements in the 15/16 season include the Atlanta Symphony Orchestra, Sinfonieorchester Basel, Belgrade Philharmonic Orchestra and the Stuttgart Philharmonic. Being passionate about supporting young orchestra musicians, Marc Piollet regularly conducts projects with the Junge Sinfonie Berlin, a youth orchestra which he founded whilst still being a student. During his tenure as General Music Director in Wiesbaden he actively supported the establishment of the Orchestra Academy of the Hessisches Staatsorchester Wiesbaden; since 2010 this academy is a platform where talented young musicians can gain worthwhile orchestra experience.